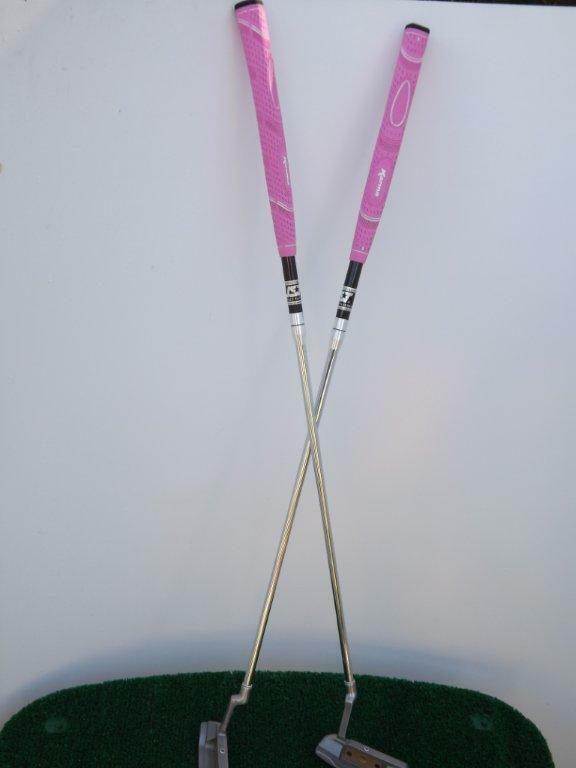 The Pink Passion HU 5 Putter features a single simulated pink tourmaline and a pink grip. It is an ideal choice to give to women, tournament teams and players in fundraisers. A portion of the proceeds go to the Breast Cancer Resource Center of Santa Barbara. 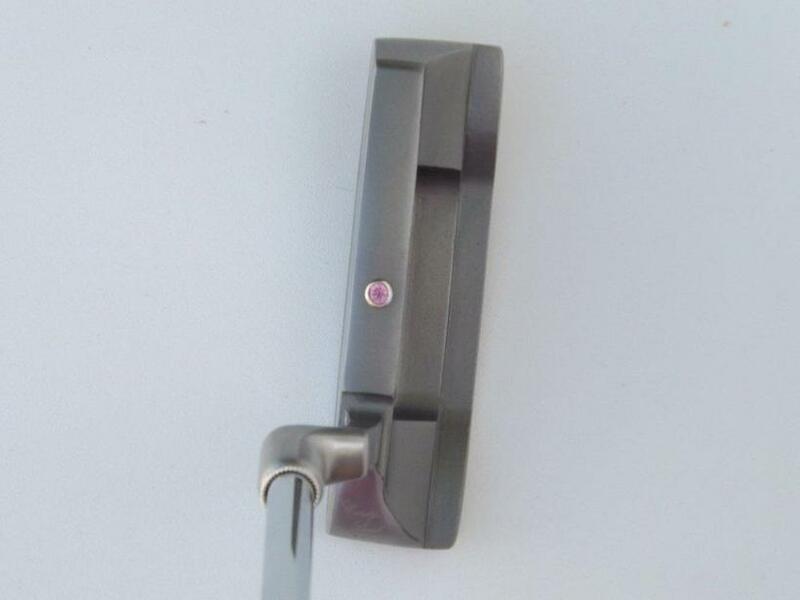 Like all of our HU 5 Putters, the Pink Passion features modern clean lines and a single gem indicator to inspire quiet confidence. The highly responsive Pink Passion is for the golfer who prefers the classic look and feel of a traditional blade design -- and loves the color pink! A single, simulated tourmaline gem is inlayed in the quartz-blasted 431 stainless steel head, indicating the position of the sweet spot for solid impact, and adding a bit of magic. The heel-toe weighted HU 5 Blade Putter has a cut-away hosel, 2-piece carbon-steel straight shaft, and a precision CNC milled face with high MOI, to promote a pendulum stroke and keep putts rolling smoothly. "The better you putt, the bolder you play."